Hoping the vis might be better 1/2 mile offshore, we dove Hawthorne Reef. This reef has interesting topography. There are several tall spires (55ft) with cuts and ledges in the rock all the way to the sand (80ft). You can almost envision the reef gradually being shaped by ocean forces over the millennia. Besides the usual nudibranchs, there were huge rubberlips, pile perch, a large aggregation of olive rockfish and a few jack mackerel. 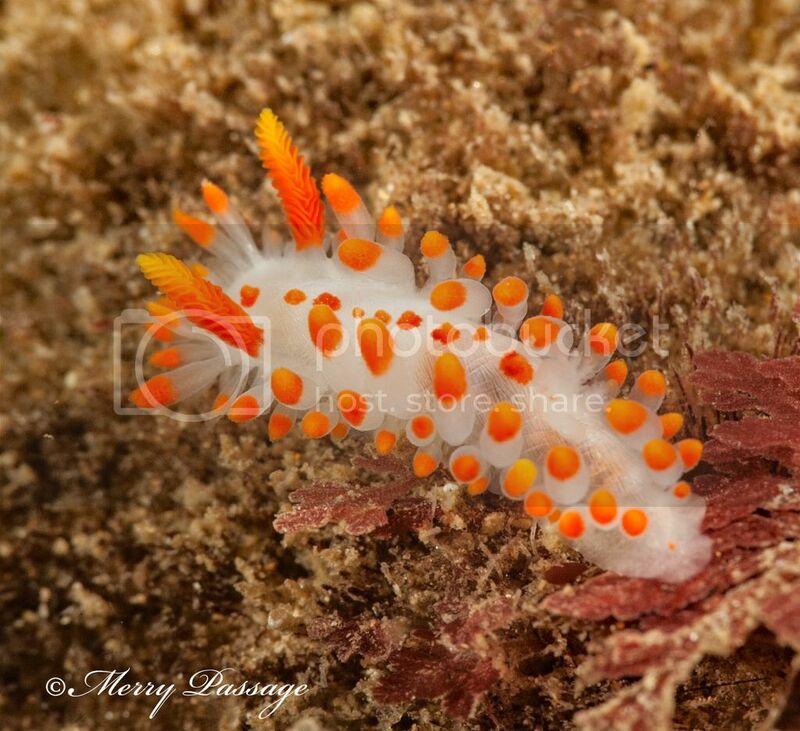 I apologize for shooting this nudi again, but I'm still trying to find one with slightly different markings. Unidentified egg mass, that shouts "large dorid" to me. 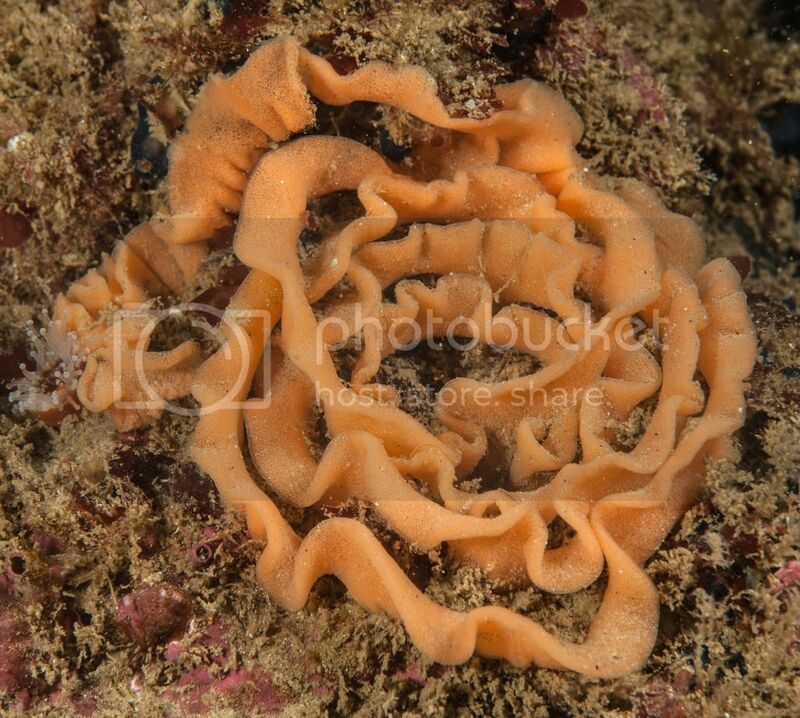 My best guess is that it's from either Thordisa rubescens or Peltodoris mullineri. By coincidence, Phil found a P. mullineri on this dive, but there's no way to know whose eggs these are for sure. Nudibranch hunting is an endless quest.